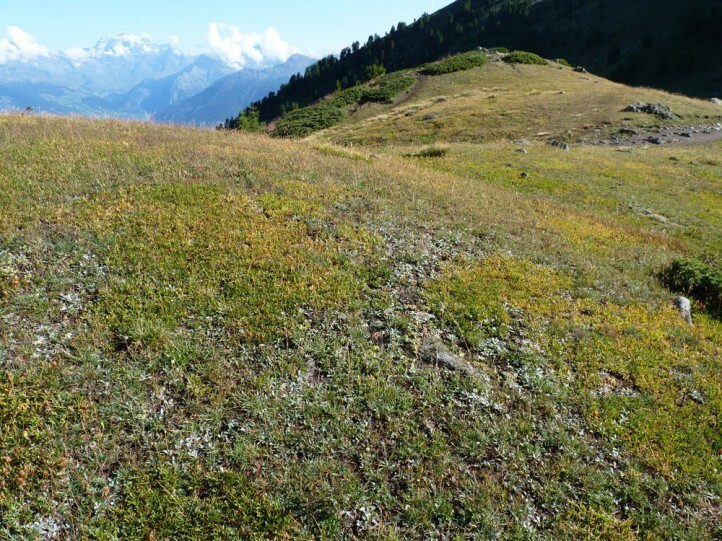 Stenobothrus ursulae inhabits Alpine pastures and low-growing grassland between 1300 and more than 2000m. 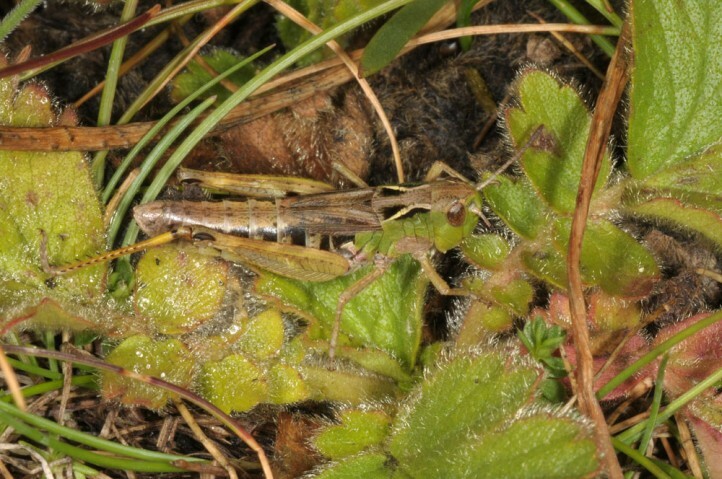 Stenobothrus ursulae usually settles in low-growing, extensively managed pastures with Nardus stricta, partly between dwarf shrubs like Calluna, Vaccinium and juniper. 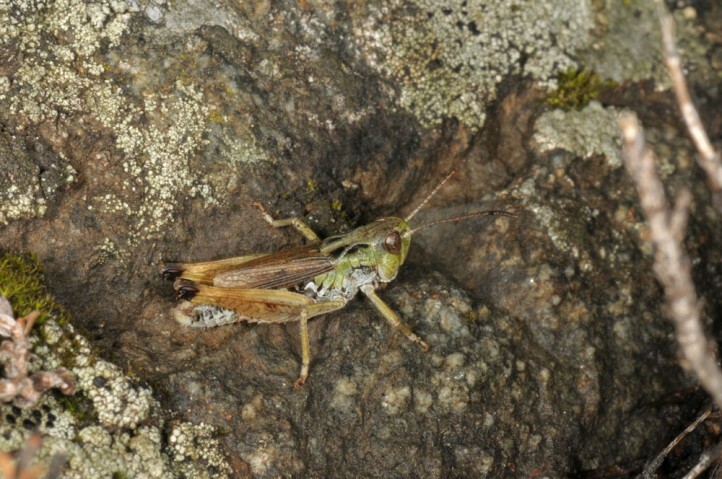 These pastures are often interspersed with stones, but these obviously do not have a higher significance for Stenobothrus ursulae. 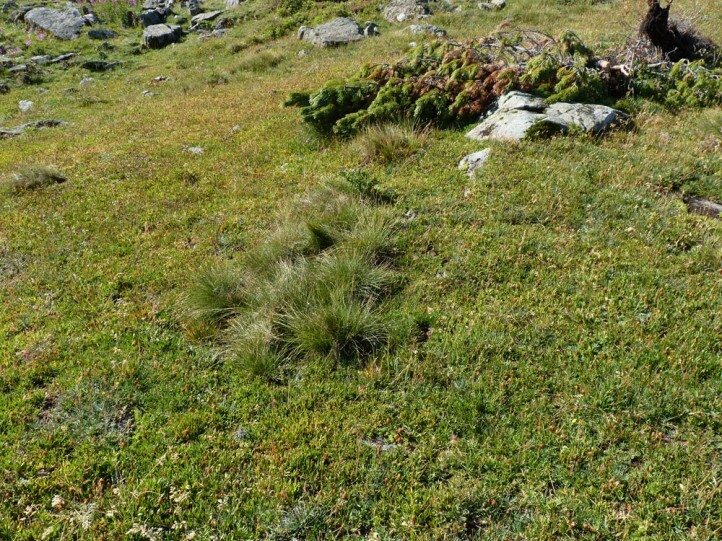 Within those very low-growing pastures the individuals often concentrate in somewhat higher and denser growing places (Lac de Chamolé), but misses in complete high vegetation (where e.g. 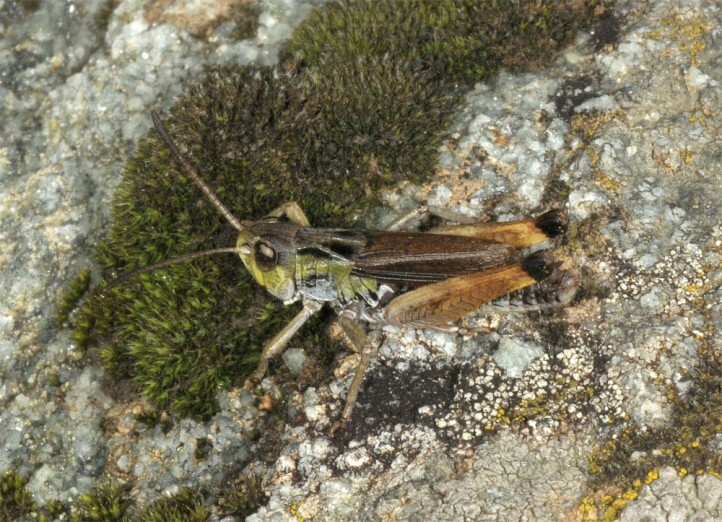 Omocestus viridulus is abundant). 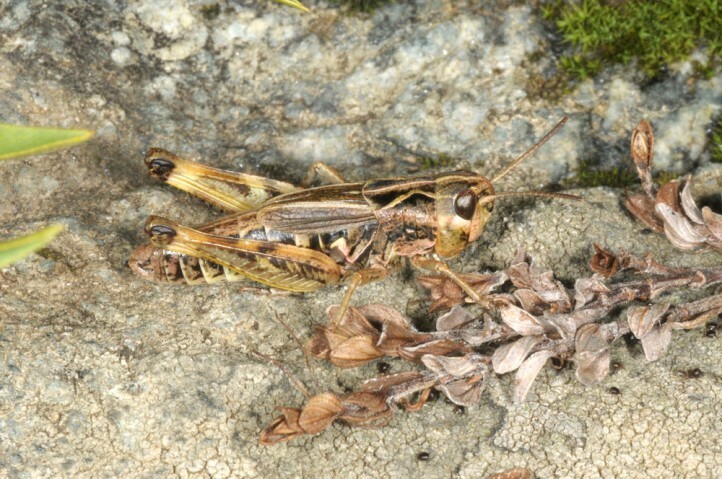 Stenobothrus ursulae is heavily endangered. 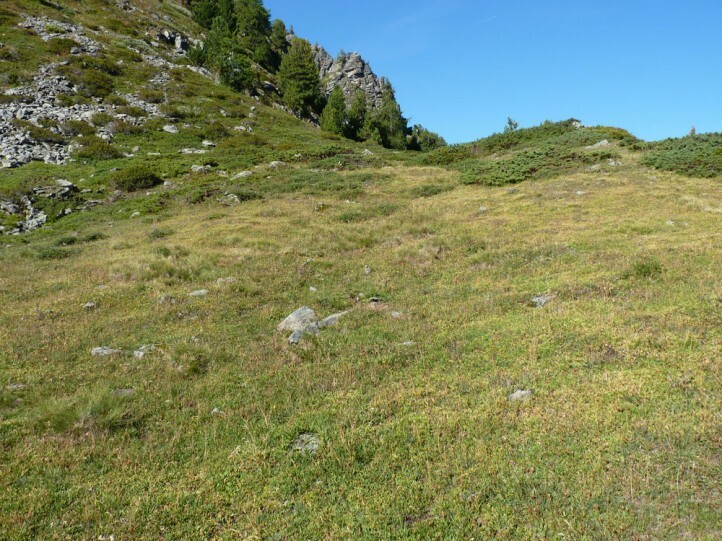 In lower altitudes the endangerment factors are agricultural intensification on the one hand and overgrowth withs tall herbs, bushes and trees after abandonment on the other. 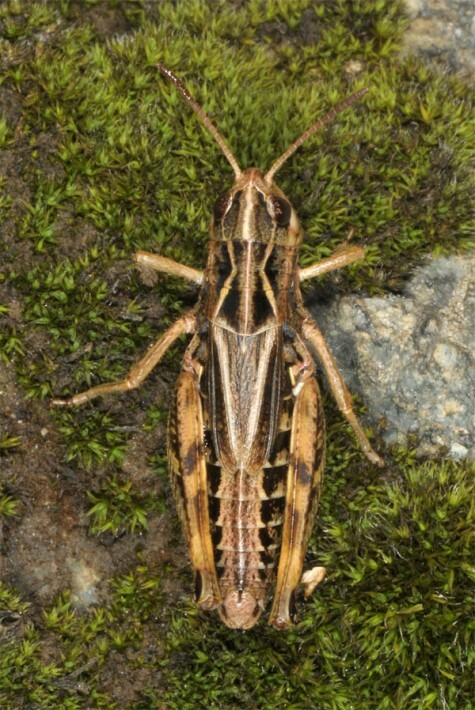 Additionally global warming should have negative influences. 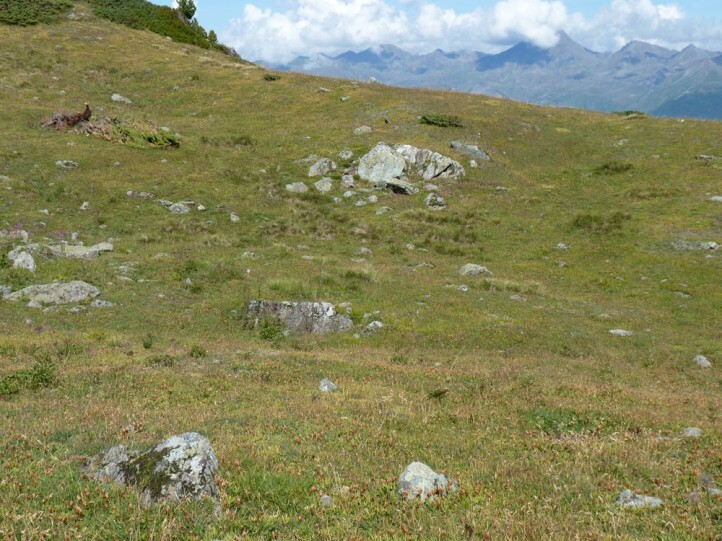 In higher altitudes especially devastations for and by tourism are the most important impacts. 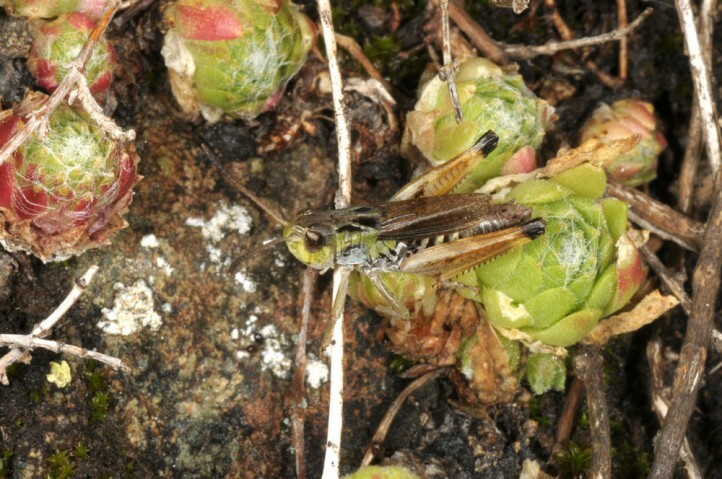 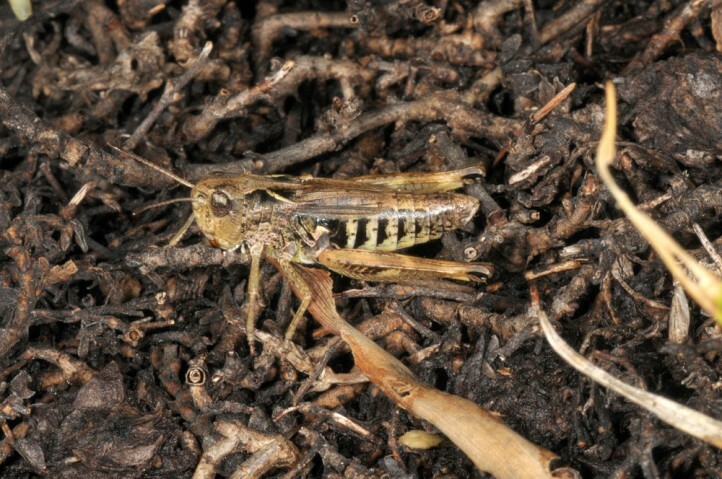 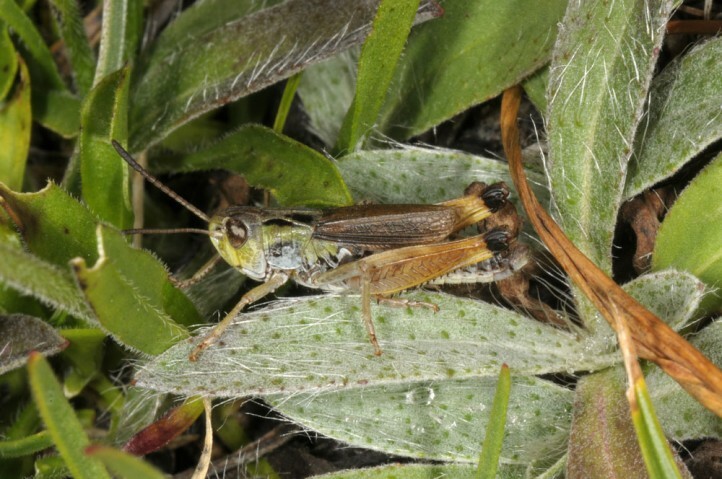 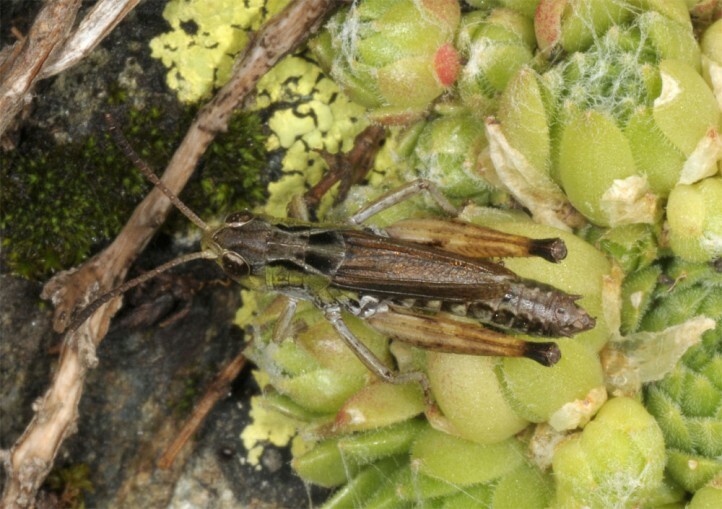 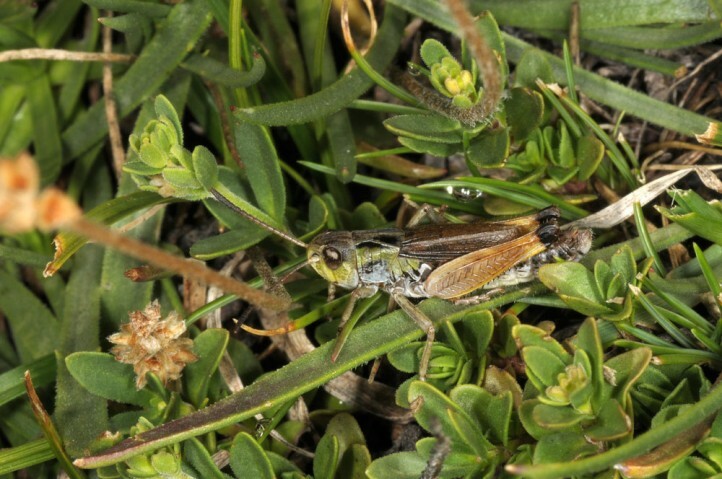 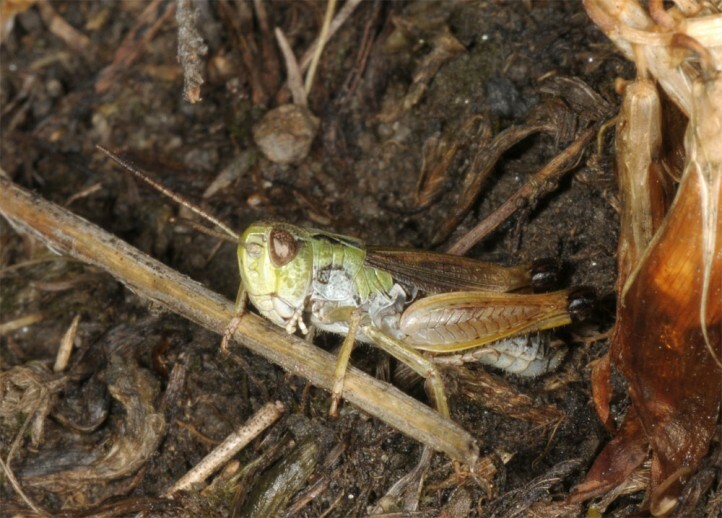 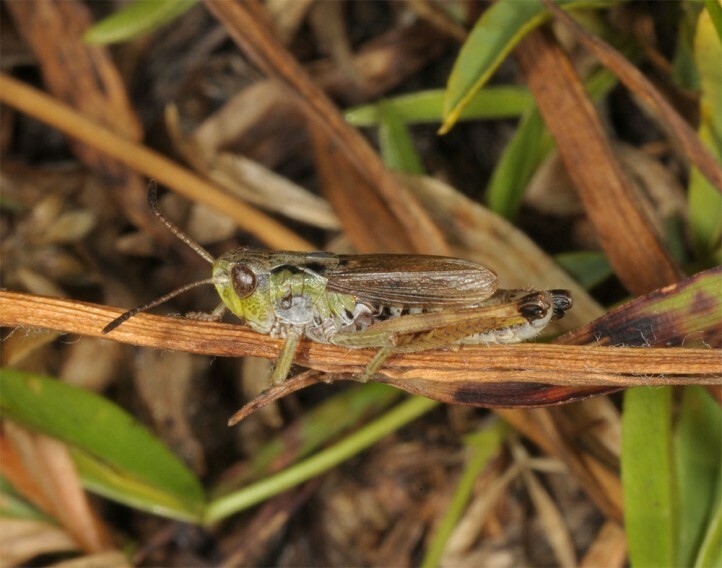 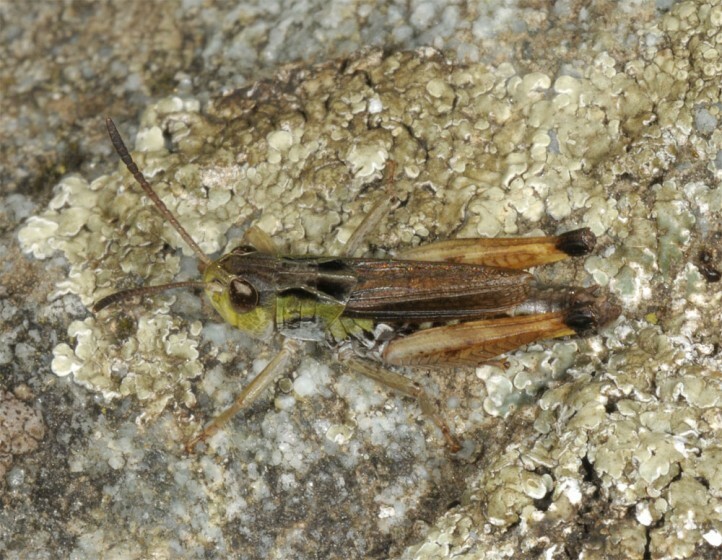 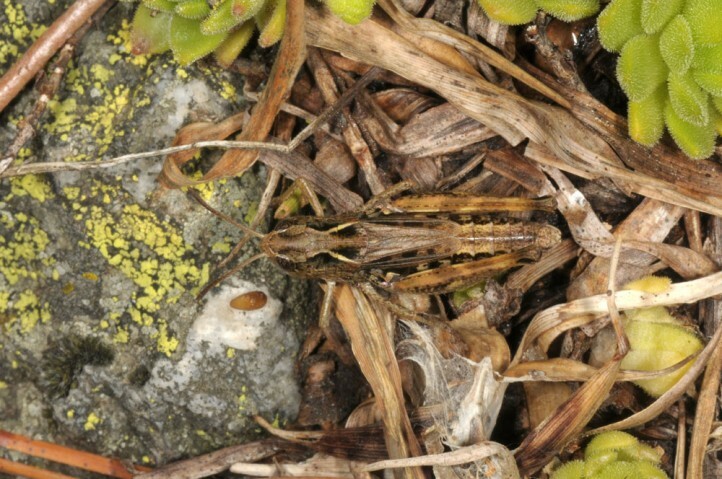 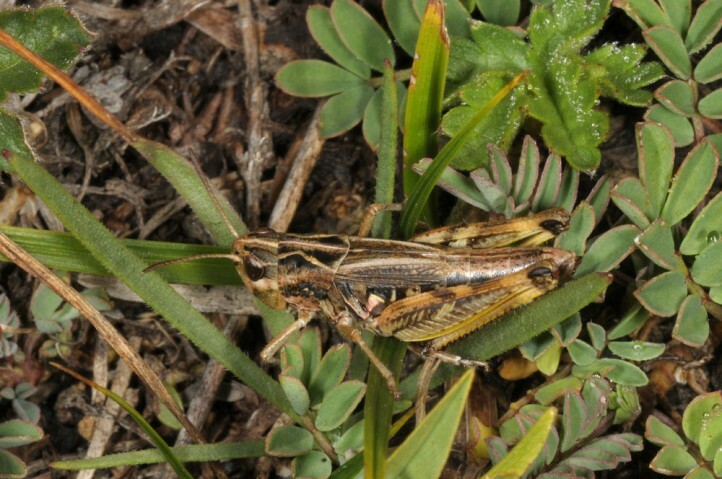 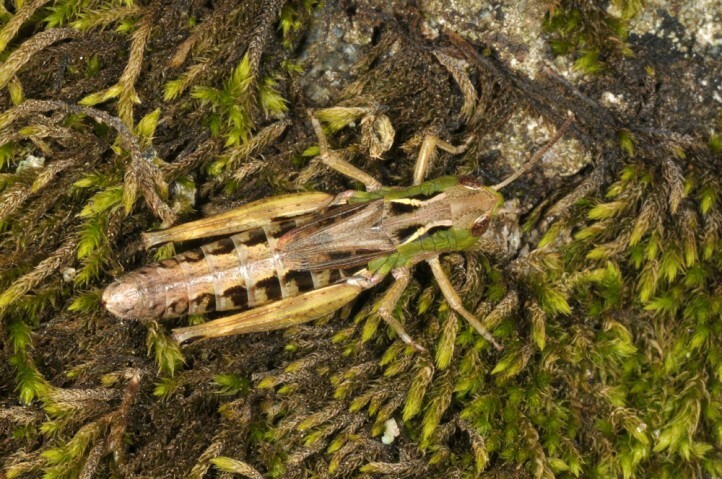 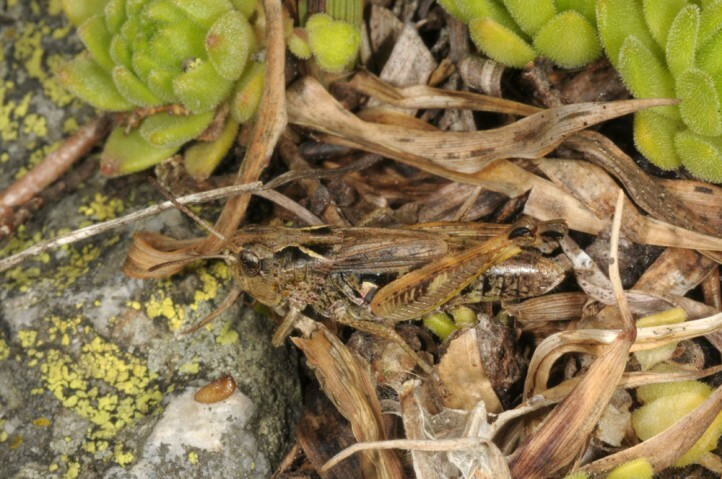 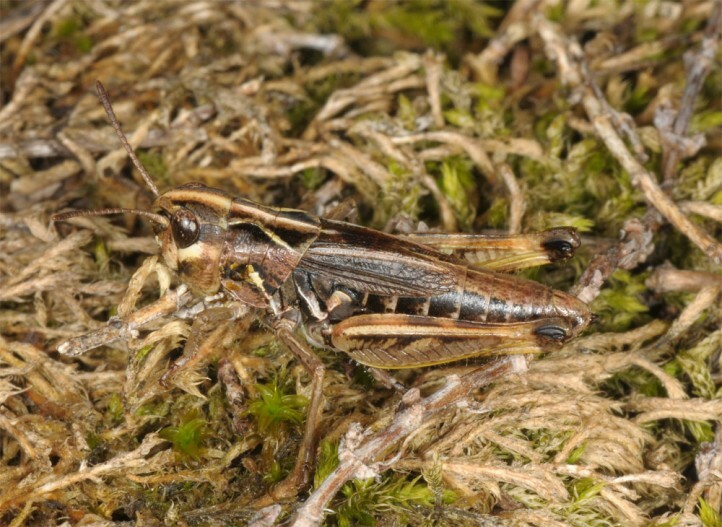 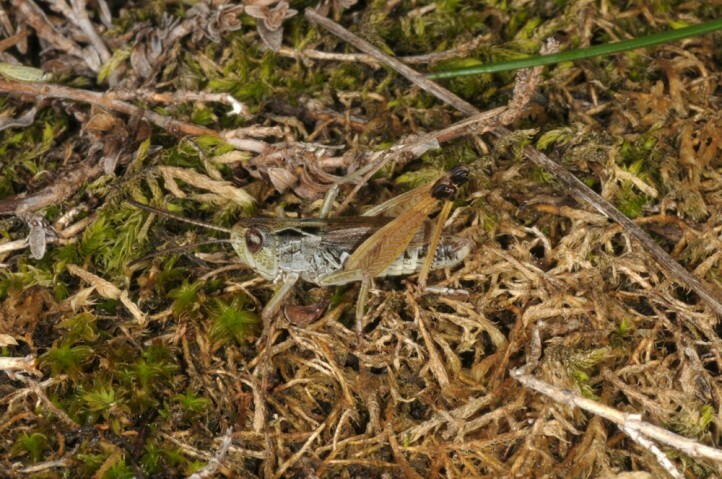 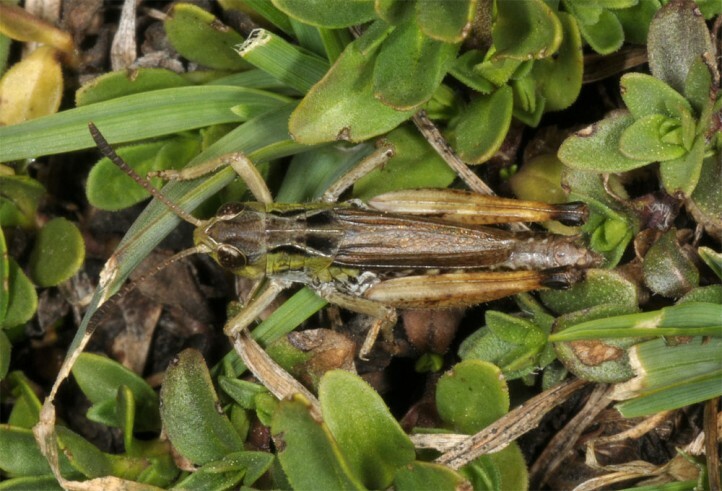 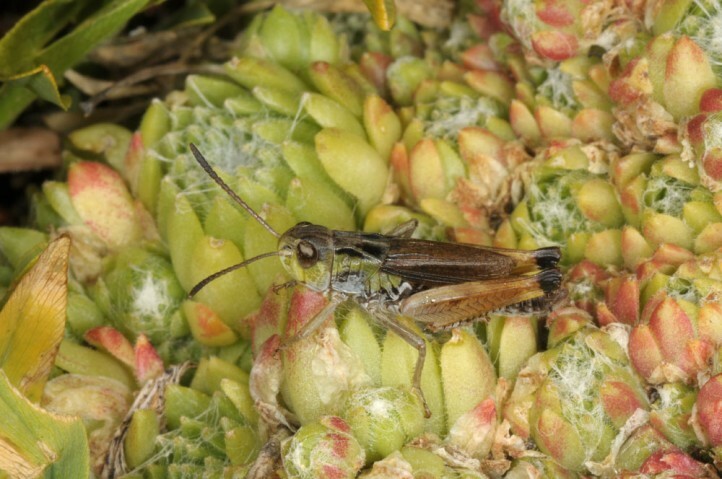 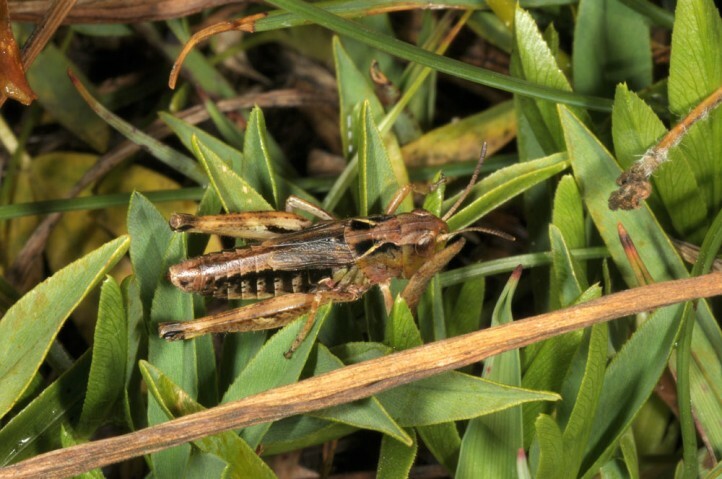 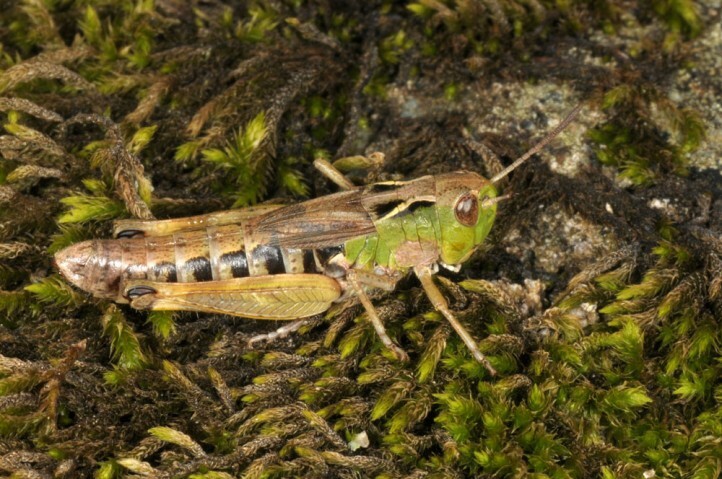 Even if possibly a few new sites will be discovered in future, Stenobothrus ursulae has to be considered as one of the most endangered orthoptera species in Europe. 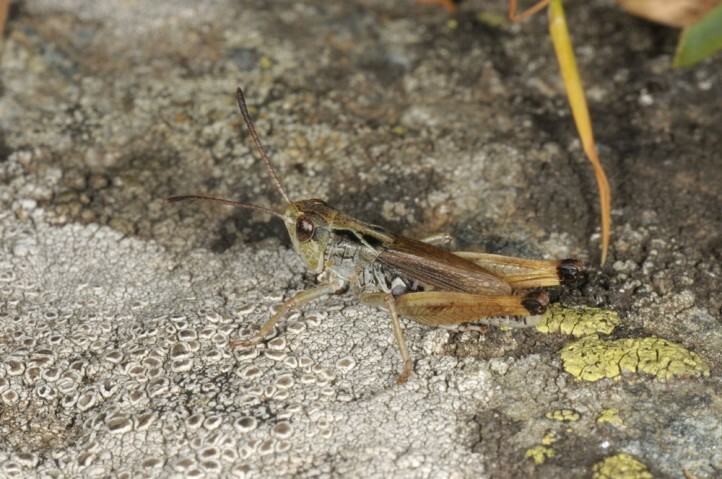 Stenobothrus ursulae has only a very small distribution in higher altitudes of the Aosta valley and southerly adjacing areas of the Alpi Graie (eastern slopes of Gran Paradiso). 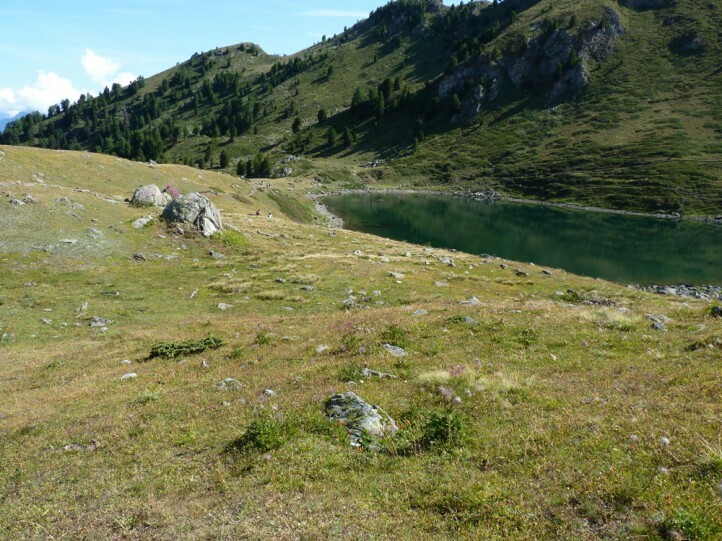 At the moment it is known from three sites only: Lac de Chamolé above Aosta, Dondenaz near Camporcher (both above 2000m) and at the Punta Verzel (Santa Elisabetta, 1300-1500m). 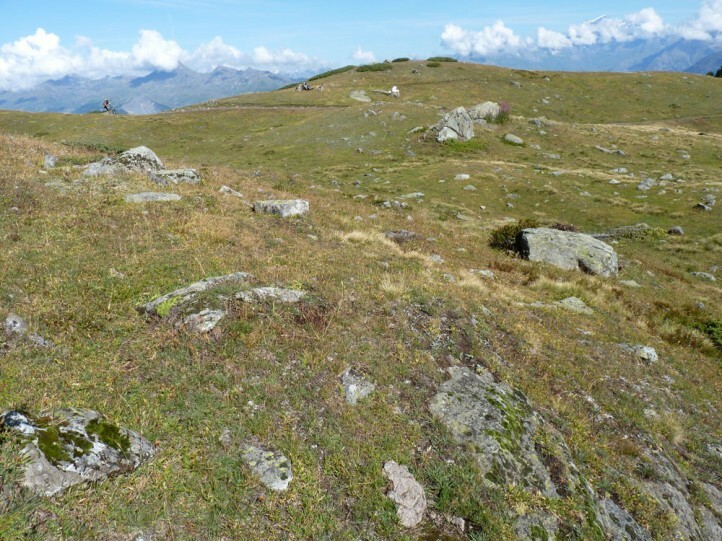 At the latter site I have searched it in vain in September 2017. 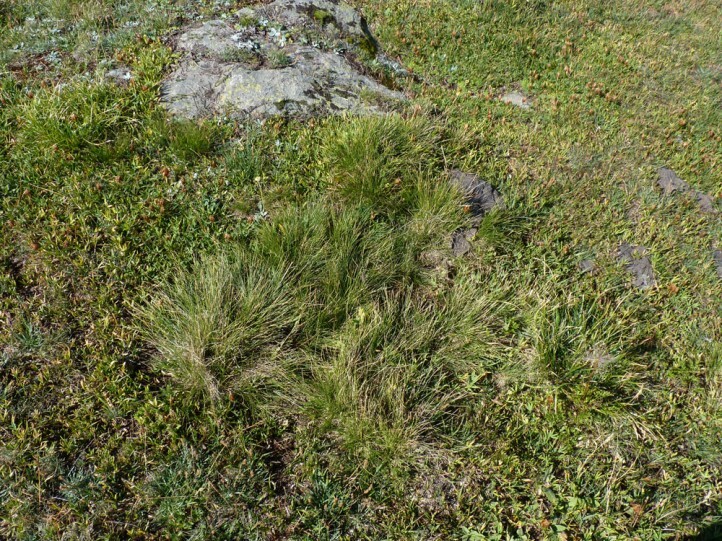 Here it has been possibly already affected by global warming and overgrowth.